Have you ever wondered what it would take to start consulting for businesses and help them list their products on Amazon? How would you even start that kind of consulting business? What would you charge? How would you grow a team around that business model? On this episode of The Amazing Seller, you’ll hear from special guest, Kathleen Kobel. Kathleen takes the time to answer all these aspects of starting a consulting business and helping businesses get started on Amazon. If you want to know what it’s like or steps you can take toward helping businesses in your area list on Amazon, make sure to listen to this episode! This could be a perfect first step for someone like you to get started! Taking the leap to get started on a new project. What is it that gives people the confidence and boldness to put themselves and their services out there in the marketplace? Are some people born with it and others not? On this episode of The Amazing Seller, you’ll hear from Scott as he sits down with Kathleen Kobel to discuss how she got started consulting for businesses looking to expand to the ecommerce realm. Kathleen was able to approach businesses with confidence after she took the small step that was given to her in her 9 to 5 job. From Kathleen’s story, sellers like you can come away with the lesson that it takes little steps along the way to build up your confidence. So what’s that one step that you can take today that will move you closer to your goal? Get more helpful lessons from Kathleen’s story on this episode! Honesty and integrity go a long way! What are the values that you deem important when working with a team member or contractor? Do you want them to produce high-quality work more than anything or are there other aspects that are important to you? On this episode of The Amazing Seller, Kathleen Kobel talks about her consulting business and why she sometimes turns down prospective clients. You can get the sense when listening to Kathleen talk about her business that she really values honesty and integrity. Because of these values that Kathleen holds, she will let a prospective client know if she thinks that their product won’t be successful on Amazon’s platform. To hear more about Kathleen’s story and how she operates her business, make sure to catch this episode! Where to start connecting with local businesses. If you’d like to ease your way into running an ecommerce business by first approaching brick and mortar businesses to see if they’d let you list their products on Amazon, you might wonder where to start making those connections. On this episode of The Amazing Seller, Scott and Kathleen talk about some helpful places to start connecting with local businesses. Scott mentions the local chamber of commerce get-togethers as a good starting place and even hosting a meetup for local businesses to teach them about the benefits of selling on Amazon. If you are considering making consulting the first step in your journey as an ecommerce seller, then you don’t want to miss this valuable episode! Helping others get started on Amazon can make you hungry for success! What fires you up and keeps you reaching for success? Is it a goal you have in mind? Is it a certain level of wealth you’d like to live with? On this episode of The Amazing Seller, Kathleen Kobel shares her story and how helping others get started on Amazon made her hungry for her own shot at ecommerce success. Whether it’s Kathleen’s taste of building a successful brand on Amazon or your goals of making enough to cover your mortgage payment, whatever it is, you’ve got to identify your “Why” that one thing that keeps you motivated. Get more helpful insights and lessons from Kathleen’s story on this episode! [4:30] Scott welcomes Kathleen to the podcast. [6:00] Kathleen shares her story and how she got started selling on Amazon. [9:00] What was it like competing in the health supplement space on Amazon? [11:30] How the idea came to Kathleen to start consulting with other sellers. [16:30] How can people get started consulting with brick and mortar stores? [20:30] What should new consultants charge when starting out? [23:30] Kathleen talks about turning away some clients. [27:00] How does Kathleen help a seller get their account setup? [31:30] The difficulty of convincing sellers to use Amazon’s platform. [38:30] Kathleen talks about the team she has built. [41:00] How you can connect with local business owners to help them sell their products. [43:30] Kathleen talks about the desire to start her own brand. [48:30] How to connect with Kathleen. [56:00] Closing thoughts from Kathleen. And well, she’s got a bunch of clients now and now she still wants to launch her own products and you’re going to hear that here soon, but this is how she was able to build like a little mini agency in a sense to where now she has people working for her, helping her implement the things in their businesses and she takes a cut. This is to me, the quickest way to making money. Now, yes, you can build a business, you can build a brand, but if you go in and you say, “Hey listen, Mr. Business Owner, how would you like to get your product in front of, oh, millions of people that have credit cards on file? And I could actually take your product and ship it to a fulfillment center and you don’t even have to touch it? How does that sound?” And a lot of people, a lot of businesses don’t understand the process. They don’t understand the Amazon algorithm, what we need to feed Amazon in order to rank. [00:02:01] Scott: They don’t understand organic traffic on Amazon. They don’t understand sponsored product ads. They don’t understand any of that stuff. And even on the smallest of levels, you will be able to take their product most likely and get some sales. And then you’re going to be a hero, they’re going to be like, “How do we keep doing this?” And you’re going to say, “Well, you keep paying me.” So, that is the quickest way like literally they would write you a check to do that or as Kathleen had said in the beginning, she just went and wanted to prove it to them that she could do it, so she said, “I’ll do this. I’ll launch one or two products. We’ll see what happens and then from there you can pay me.” And you can work out any deal that you want. She’s going to talk about how to structure the deal and all that stuff. So, anyway, you could see why I’m pretty excited. No money, no excuses so that’s what this is going to be about. If you do not have money to get started, you’re thinking about how do I generate some capital to get my business started, this would be a great way. You’re going to learn through the process, you’re going to be able to consult in other people’s businesses, you’re going to be able to put your ear to the ground really and listen to what’s happening inside of other people’s businesses because you’re going to be working on them. One of my other students, Jarod, has done exactly this. He’s built his own, he’s just about seven figures depending on when you’re listening to this. He’s probably at seven figures, built in about 18 to 20, about 20-ish months and he’s doing about seven figures a year now inside of that brand. He took that knowledge, went out and now he’s helping right now currently two other businesses, a small and a medium-sized business and he’s doing really, really well with that as consulting with them and taking a portion of the profits, a percentage. So, this is something that you can do now, you can do later, heck, you could do it even when you have your own brand and successful if you want to do that. It’s just another way to tap in and start earning some money for your knowledge and for your skill set. So, I’m going to stop talking so you can listen to this interview with Kathleen, but I did want to just remind you the show notes to this episode can be found at TheAmazingSeller.com/453. [00:03:58] Scott: And if you’re a brand spanking new and you’re like, “Scott, I don’t know the process yet. I don’t understand how everything fits together,” then I’m going to direct you over to a resource and that is TheAmazingSeller.com/start and that will get you all the way through the process. It’s my five-step private label roadmap that we just did not that long ago and it’s fresh, it’s relevant. Go check that out. All right. So, I’m going to stop talking now so you can listen to this amazing interview and you can get out there and tap into other people’s businesses and start making money as soon as possible. So, enjoy. [00:04:31] Scott: Well, hey, Kathleen. Thank you so much for coming on the podcast. How are you doing? [00:04:36] Kathleen: I’m doing awesome. Thank you so much for having me, Scott. [00:04:39] Scott: Yeah. No, I’m excited to have you. You and I met in Dallas and I was there for an event and then we had a TAS little meetup and you happen to be there, and I was really intrigued by your story. Also, someone else that was there was doing something very similar to what you are doing so I was kind of blown away. I’m like this is a sign I think. I think I need to dig into this a little bit more. I haven’t personally done it. Chris has done a little bit of the consulting thing and that’s kind of how he got introduced to Amazon, but I really wanted to dig into kind of your story but then also the ins and outs of this, maybe give some structure to it that if people wanted to go out there and get started selling on Amazon but not necessarily with their own products. So, yeah, I just want to dig into that. So where should we start? How do you, number one, even get introduced to this? And I guess, first, why don’t you just tell us a little bit about you? I know that you’re a mom, right? [00:05:33] Kathleen: Sure. Oh yeah. I’m a mom. I have a one-year-old. [00:05:35] Scott: So, you’re busy. [00:05:36] Kathleen: Oh yeah. Very busy. I have a one-year-old and a three-year-old. [00:05:51] Kathleen: Oh my gosh. Exactly. [00:05:54] Scott: That’s funny. So, you’re busy. [00:05:55] Kathleen: Yes, very, very busy. But how I really got started was I started selling on Amazon years ago when I had a full-time job. So, I was working for an entrepreneur who I worked for him for probably eight or nine years and I was very entrepreneurial myself. I was always kind of looking for something I could do on the side to start my own business or make more money. And so, really the way I got started selling on Amazon was so after I sold all my grad school textbooks back when Amazon only allowed you to sell books, I actually approached my old boss at the time who I was helping him with his health supplement company and I said, “Hey, you think about me selling your products on Amazon for you. You would just pay me a commission. I don’t need an extra money. It’s all commission based on sales,” and he was really excited about it. It was a new avenue. We were selling through catalogs, direct mail, and it just launched online and so this seemed kind of like the next logical step. So, he kind of just let me run with it. I took courses. I studied a bunch. I kind of figured out the ins and outs of selling on Amazon. I launched his products and within a year we were doing consistent six-figure months. Eighteen months it was a million-dollar Amazon business on the side of his regular business. So, that’s really how I got started and really just saw the potential of what could happen when you bring an already existing product, business brand onto Amazon. [00:07:32] Scott: Yeah. I agree. I think a lot of brick-and-mortar out there probably aren’t even aware that you can sell product like this easy on the platform as big as Amazon. I mean, when I tell people that we sell on Amazon, they’re like, “Oh really, I mean, like how did you get them to let you?” You know what I mean? Like they think that you have to go through all these hoops that you maybe have to be a major company or a major brand. And as of right now, the time we’re recording this, it’s not that hard to launch your own product on there to get brand registry. It’s a little different. They’ve upped that. We’re at 2.0 now and stuff. Even Walmart’s harder to get on for selling than it is for Amazon at this point in time. So, that’s a great story. I mean, okay, I want to ask you this though. So, that was in the supplement space, right? [00:08:25] Scott: So, whenever we throw around those numbers, whenever someone says they’re doing $100,000 a month I automatically think supplements. It’s some type of supplement or there’s got to be because supplements are always a big market and depending on what it is, you’re going to have a ton of sales. People have to buy them over and over again because they run out. So, once you start building that, but you and I both know it’s a very competitive space now anyways. How was that going into it with the supplements? Because you’re going into it probably not even, maybe you were, but probably not even thinking, “Wow, like supplements is a pretty competitive space and like there’s going to be a learning curve. There’s also going to be a lot of competition. It might have like people coming in trying to sabotage the listings.” I don’t know. I’m just guessing but were you thinking that? Were you kind of a little naïve in the beginning like, “Oh, I’m just going to launch like any other product,” or did you know that it could be possibly like a little bit of a cutthroat thing? [00:09:22] Kathleen: I would say I was more naïve than knew it would be a cutthroat thing. I knew how competitive just selling health supplements, in general, were because I have been working for his business for a couple of years before we launched on Amazon. But I kind of thought maybe it’d be a little easier to sell on Amazon because the competition wasn’t quite as fierce at that time. Now keep in mind, we launched, I mean, I’m talking over five years ago that we launched his products. So, today, it’s even more competitive on Amazon and of course overall. But no, I mean, I think I was pretty naïve and when I started seeing how quickly the results were coming, it was like, “Wow. Like this is really working,” and being a huge factor with that was because he was already marketing his business elsewhere, we had the lot of residual that came from Amazon. So, people would get a catalog in the mail. They would go Google search the product or the brand name and they would see his listings on Amazon which automatically lead them to not only maybe trust him a little bit more but also, they’re a little bit less apprehensive to buy because they know that they can go through Amazon and they have that buyer protection when they’re trying a new product they’ve never heard of. [00:11:05] Scott: Cool. All right. So, you’re probably blown away. You’re sitting here and you’re like, “Holy crap, I thought it was going to work but I didn’t think it was going to work like this. Wow, this is amazing,” and now you’re starting to feel like you kind of figured it out. You kind of cracked the code in a sense. When did it happen that you were starting to think to yourself, “Well, I did it with this business. Why can’t I just go and find other businesses I can apply the same principles to?” and just kind of launch with them and kind of benefit from their products? [00:11:34] Kathleen: Right. So, that thought really came to me when after I have my daughter. So, my daughter was about a year-and-a-half and I was just spending a lot of time building someone else’s business for them. I spend a lot of time working. I was away from the house a lot. I really just felt like I was missing time with my daughter. And because of everything I have learned, I was so fortunate to be in a position that I was working for an entrepreneur, being able to launch on Amazon a product that wasn’t my own, I really had a lot of things going for me that educated me but then also gave me the confidence to leave my 9-to-5 job and branch out on my own because I did kind of figure if I can do this for one person, I can definitely do it for other people. And so, I left my job, found out about a week later after my last day of work that I was pregnant again so now the clock was really ticking, and I’ve been doing retail arbitrage for a few years and I really just enjoy selling on Amazon. It’s like a little business. It’s a business within a business so that’s kind of how I look at it. So, that’s really when I started. I left my job and I kind of just put myself out there. So, I started with third-party like freelance sites. I got myself a website, started putting some services on there that I could offer and actually my first consulting client came from one of those freelance sites. They contacted me out of the blue. I didn’t even apply. We got on the phone. They told me that their competitors were on Amazon. They want to get on Amazon. They just didn’t have anyone internally who understood it. They just didn’t have the internal resources to make it happen so then they hired me to do it for them and that company is still one of my clients to this day. So, I’ve been working for them for the past year-and-a-half or so. [00:13:36] Scott: How nice. So, how does that work? I know we’ll probably dig into that like how someone else could like approach a business. I think that’s probably a question that’s on people’s mind. But one thing I want to go back to because we’re talking about having the confidence, number one, to go to a business and go, “I’ve done this before,” and I think it’s, correct me if I’m wrong, but it’s probably going to be easier if you don’t land another client once you have some creds. Like once you say like, “This business over here I help them grow to a million-dollar business,” then it’s like, “Oh, okay. Let me look into this.” So, it’s kind of like you having your own little testimonials that help you sell your services so obviously, you got to do one or two and get them under your belt and get some results, so you can do that. So, would you say in the beginning were you charging like a consulting fee upfront and then a commission? Or was it just like, “Listen, let me just try this thing. If it works, you make money, I make money. If it doesn’t, you don’t pay me.” Is that kind of how you framed it? [00:14:31] Kathleen: Yeah. So, my very first client there they started paying me hourly, so I would just set up their thing. It was more of a freelancer since that’s how they kind of found me. I guess you couldn’t really call it consulting in the beginning there because, yeah, they paid me hourly and that’s really kind of how I figured out that hourly was great but in order for really both of us to win and also to kind of convince them that I’m in it just as much as they are is now when I approach people or when they approach me, we do, do a monthly retainer but then we do a percentage of the sales. So, the companies will pay me. It’s not a huge fee monthly but then I do get a percentage of the sales and as long as we’re going up which most of the time we are, they really don’t have a problem paying that because they see that their sales are going up. They’re paying me more but they’re fine with it because they’re getting more sales and then at the end of the day they’re making more profits, growing their business. [00:15:35] Scott: Yeah. Who wouldn’t, right? So, okay, when you set that up, is it you’re taking on gross sales or is that net? [00:15:49] Kathleen: Yeah. That’s really great. [00:15:51] Scott: Yes. You get topline. You get percentage of top line. Okay. Cool. All right. Again, I’m just trying to think for myself but also for listeners because I know that they’re going to have those questions as far as like, “Okay. This sounds great and everything and I feel like I know enough to launch and really there’s not a lot of risk here because I can just find a company and then help them and then if I win for them then they pay me.” You kind of went out there and went to our freelance site like, “Hey, I know Amazon. If you want me to help you on your Amazon business, pay me so much an hour,” but then that turned into a consulting gig. How would you recommend someone starting to really find a client that they could possibly approach? Or do they just keep their eyes and ears open, brick-and-mortars and stuff like that? [00:16:37] Kathleen: You know, I would recommend kind of all the above but really there are so many people who are looking for a service like this. You just have to find them. So, whether it’s on a freelance site that’s a great way to get started if you don’t already have the credibility behind you. But also, LinkedIn or other job sites, a lot of times they’re looking for full-time people to come on but there’s really no harm in approaching them and saying, “Hey, I’m a freelancer. I’m a consultant. You don’t have to hire me full-time, but I can still get the job done for you.” And then there’s other, you can go local. Do you have a store that you love? I had a client who she approached like a skincare line that she loved. They’re just a local boutique shop in her small town. She approached them and asked if she could sell their products on Amazon. They said yes, and they even actually let her private label them. So, now she sells their products on Amazon under her own private label and they’re fine with it. They’re great with it because they’re selling to her wholesale. They have no interest in selling on Amazon because they’re just in a small town and maybe they’ll change their mind in the future but even if they do, now she’s selling the products, but she’s got a private-labeled. But I like that because then you’re getting them up and running. They see a result in a sense, not even a financial one that they’re gaining but they’ve got a real thing that you did that you can show them. It’s almost like building someone a website. You build them the website but now do you want traffic to come to it? Do you want us to update it every month? What if they have changes? So, then all of a sudden you come into, “Well, we’re going to update it. We’re going to have a fee that does all that other stuff,” which is cool. All right. So, I know the next question people are going to be asking and I’m kind of curious too like what would you advise someone that’s just starting to ask for? So, let’s do two different things. Let’s say that we said, or they had some products that they wanted to list, not even just you, but like for someone starting, if you were coaching them, what would you say that they should ask for when they’re talking to this company as far as either commission or of a flat fee to get things set up? [00:20:28] Kathleen: I would say to kind of figure out how much time it’s going to take you to get them set up, how many products do they want to launch? Do they want to launch one product or do they want to launch 10? Are there variations? Are you going to have to set them up with brand registry and go and create their storefront, things like that? So, I give people the option. We kind of do like we do different services and just like you said, we have the tiers. And so, when I started, I did the hourly and so that really helped me figure out how long does it take me to set up an overall account, how long does it take me to do the brand registry and the product listings and all the research that goes behind all of that. And so, I would estimate that. If you’ve ever done your own products on Amazon, how long did that take you? And kind of go from there and figure out how much do you want to be paid hourly? And then after that, you can figure out, “Well, how much time did it actually take you?” And then if they’re going to keep you on long-term, having that commission not only makes both parties feel comfortable but then it helps you stay motivated, helps your clients see that you’re producing results for them. And so, I did struggle with pricing a lot in the beginning because I thought, “Well, okay, so here’s the hourly.” And then really when I figured out how much time am I spending on this hourly client every month, I was then able to say, “Okay, I think it should be about this much for a setup.” When we do the long-term services, the first month is significantly more expensive than the second, third, fourth, sixth months. That monthly retainer fee drops, like I said, very significantly and then we pretty much go to the percentage because it’s not quite as much work to get set up. [00:22:25] Kathleen: We try to do launch in 30 days. Sometimes that’s possible. Sometimes it takes a little longer but really, I’ve kind of just based it on what I’ve been doing, and I always adjust. There’s always, if I’m busy, if it’s fourth quarter, you might have to pay a little bit more to be launched in 30 days. If it’s first or second quarter and I have a little more time on my hands, then that will be a little bit cheaper. [00:22:50] Scott: Got you. Okay. That makes sense. Now the next question is going to be something along the lines and I know people will be asking this like if you look at a brand, are you willing to take any brand on that gives you a product that was willing to pay you? Or do you look at it and go, “You know, I don’t really think this is going to do well on Amazon. There’s not really a market. The sales are really low. We don’t have any data here that tells us if this product is going to even work?” Do you look at that stuff or do you just say, “I’ll launch it,” and hope for the best? [00:23:27] Kathleen: No. I absolutely look at that stuff because the last thing I want to do is take on a client who then I set up their store and we can’t make sales. If something is really competitive or I’m really seeing that there’s just not a lot of sales volume, there’s not even a lot of competition, I always let them know that. I let them know that I’ve done the research. Here’s what I found. We can still get you set up but just let you know there’s not a ton of competition. There’s not a ton of sales. So, either you’ll be the first here that’ll be successful or maybe this isn’t the right marketplace for your product. Amazon is a pretty good marketplace for most products but not all of them and I really found the people who I’ve turned away for the most part either their products just really don’t sell well on Amazon or they have unique products that are primarily like one-of-a-kind. And so, obviously, if you know anything about selling on Amazon one-of-a-kind products, unless you’re selling directly and handmade, it’s really hard to do that. It’s really hard to scale that. And I do have a few friends that have businesses that sell one-of-a-kind and Amazon is just not a good fit for them because of the amount of work that goes into to make a product listing. That’s really just not Amazon’s place. They’re much more bulk. You want to have a lot of inventory to send them in order to make it worth your while. [00:25:00] Scott: Sure. Yeah. I mean, again, you don’t want to just say, “Oh, I’ll take your money and launch a product. You want to at least give them what you’re finding,” and then it can be up to them but at least you’re upfront with them and you’re honest. You’ll still do the work for them and, “Hey, you know what, you may hit a homerun here like I don’t know but I’m looking at data and I’m looking at that stuff and here’s the report kind of in a sense. What this is telling me is that it doesn’t have a lot of legs right now or it doesn’t have a lot of traffic and all that stuff.” But if they want to pay you then go ahead and do it but just know that if you’re doing on commission, you may not be doing it and making a lot of money on the backend. So, it might just be like a one-time setup type thing. [00:25:45] Kathleen: Right. And that’s usually what I’ll do if I don’t see that it’s going to be worth it for me personally and for my time to really get in there and put in a lot of time if I’m only working on commission. I mean, I will tell them that. I’ll say, “I’ll set everything up if you still want to still be on Amazon. I’m happy to set everything up for you. I will then hand it off to you.” But I do have coaching services where I go in and I help people’s VAs or their assistance or whatever then learn. So, that’s another more reasonable option for a lot of small businesses who can’t maybe afford to hire me as a consultant, but they can hire me to train someone or come to a weekly call in my group or buy my course or something that’s more accessible financially for them and because different options work for different people. And so, I try to be flexible to make things work for everyone who wants the opportunity to get their brand on Amazon. [00:26:46] Scott: Yeah. Okay. And then the other question that I have is what does it look then for you like you mentioned like 30 days to launch like what is your steps? Obviously, you got to set up the account. You got to do all that stuff in their name and all that stuff but like when it comes to getting the product up, optimization, launching, like what is, I guess, your outline that you follow? Because you probably got like a standard kind of procedure that you go through and probably going to be different in some cases depending on how competitive it is but what’s your general like kind of outline when you take a business on and you’re going to launch a product or two? [00:27:30] Kathleen: Sure. Yeah. So, the first thing I do is once they decide they’re on, they pay their invoice and then we get on a call to go over everything I need to get their account set up. So, we go over if they have any trademark documentation. I have them set up their account, get all the financial stuff in order. I give them a whole welcome packet on things that I need from them like images, product list or product names. If they have their products on websites, I’ll go on there and pull copy and things like that. If they have any competitors, I have a whole like checklist of questions that I ask them in order to really learn about their business, understand their products so that I can best represent for them while I’m creating their account and their product listings. So, after I know a little bit more about their business and their products and get some resources from them then I go in and do my own research on Amazon. I look for competitors. I look for similar products or the same products. Of course, I use Jungle Scout, I use Terapeak, all of those good Amazon resource tools. And so, then I’ll find the keywords, I will create the product listings, kind of combining the competitor listings on Amazon that I see and then the web copy that they have already for their products on the website they sell on. So, we’ll launch or so then we’ll set up the products and then we’ll go back and input the text settings. We’ll do the B2B profile if they want to sell B2B. We’ll do the brand registry application which again is the trademark stuff now. And so, then after we get the products launched, after we get all the account set up then we also use Feedback Genius, we get that in place, so we can start getting reviews from people. [00:29:30] Kathleen: So, once we have all that in place then I say, “Okay, we’re good to launch.” I let them know I see how much or little they want to be involved with their existing business. So, I always encourage them. I have a little worksheet that I give them that says, “Okay, here’s where you can post on your social media. I recommend you email your list, tell your family and friends that now your products are being sold on Amazon.” And so, they kind of help me launch to their business while I’m launching their products on Amazon too. 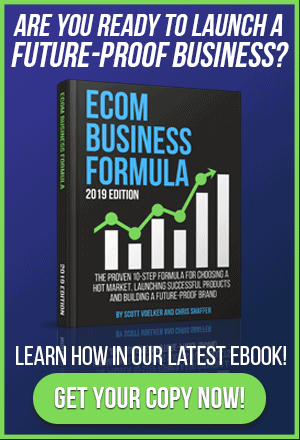 And so, with those two forces combined, it becomes a lot easier to kind of accelerate the sales early on because they have their customer base and their followers already who are excited that now they can go on Amazon and buy these products too. [00:30:23] Scott: Yeah. And that’s pretty standard, right? I mean, we want to drive sales through Amazon. My question is, and I find this a lot with businesses that are already like selling on their own platform or in their own store like do you – it sounds like you do because you said that you have them email their list and stuff. I got two questions. One is do you find that you might recommend that they drive sales to Amazon? They’re like, “Well, why am I going to do that? I’m going to pay you money and fees when I can just sell it on my website.” Do you have to convince them? Or, I mean, I know you have to educate them but sometimes I could see that being a problem for some businesses that just they don’t get it and then you’re like, “But listen, we have to give Amazon what they want so they’ll help us rank and then organically we’ll start getting the Amazon traffic.” Is that ever a struggle? [00:31:17] Kathleen: Oh, yes. Absolutely. It does take some convincing for some people to really understand why I want them to do that and why it’s so important. And I kind of just position it like we’re kind of launching a new product. It’s the same product for your business but we’re launching it on a new platform and so we want to take as many resources as we can to really make our presence known here on Amazon. But it doesn’t have to be forever. You don’t have to drive people to Amazon in every single email that you have, but it has been a struggle. Some people completely understand, and other people are very resistant because of the 15% and the FBA fees. It’s actually kind of surprising to me how a lot of business owners don’t totally understand how the FBA how it all works and just how important that is to organically ranking and building that SEO presence. And so, I have one client in particular who’s just very, very resistant to using FBA and once we started using FBA, I mean, we tripled our sales in like two months. And so, then she got it. Then she understood why. [00:32:35] Scott: “Yeah. I get it now.” Yeah. Right. [00:33:36] Kathleen: You know, it kind of depends. I actually learned from listening to your podcast how important it is for some people to just get free shipping. And so, it kind of depends on what the business owner wants to do and how they do their other distribution channels. So, I have one client who we don’t do discounts at all because they primarily distribute through a sales team. And so, he didn’t want to make it so that people could go on Amazon and buy the product for cheaper and kind of undercut his internal sales staff. So, we actually did not do any promotions for Cyber Monday and Black Friday and that’s okay because we still sold quite a few units. So, it really just depends on how receptive they are to it. Some people are like, “Let’s do a discount. Let’s do 50% off. I don’t care if I lose money. I want people to buy on Amazon. I want to rank quickly. I want to get reviews from my existing customers.” And so, I just kind of feel it out. I do have a template that I give them just as far as what they should say but I work with the business owners. If they want me to write the email, I’ll write it for them. If they want to write it themselves or they have a copywriting team, I work with different sizes of businesses, so some people have resources, some people don’t. And so, I help as much as I can wherever I can and just kind of let them lead as far as if they want to do a promotion or not and just give them my strategy and my insight and then just kind of go with whatever they want to do since it is their business ultimately. [00:35:10] Scott: Yeah. Absolutely. I get it. If you have a sales team and, I mean, that gets a little complicated. But I love the client that says, “Yeah. Do it, 50%. I don’t care if I lose money because I get what you’re doing,” like that makes it so much easier. And when you can even and I’m sure you get this too where you might say, “Yeah. I want you to send out two emails tomorrow.” “Two? Like I’m going to annoy my list. I don’t want to do that. I got to drop a little scarcity in there. I got to let people know there’s a deadline. We all react on deadlines. It’s the way it works. It’s marketing 101 and your list won’t hate you.” There are just different ways to do it but I’m sure that you deal with that too. But I just find that it would probably be a struggle when you get a biz almost like I watch Shark Tank every now and then and you’ll see someone that is like penny-pinching the percentage even and I’m like the person doesn’t get it that having an extra 3% on what they’re doing right now compared to if they give away 3% and they were able to get them $5 million more in business, why wouldn’t you want to do that? I look at the same thing is like if you get yourself ranking on Amazon and you’re selling zero today but tomorrow you’re selling an extra 50 units of your product that you wouldn’t have been selling, do you really care? So, sometimes it’s hard to kind of get that to sink in and when that happens, it would be almost at the point and I think you’ve even said this, there are some clients that you’ve worked with before but now you’ve chosen not to because it’s kind of like you only want to work with people that they get it, makes your job a lot easier. [00:36:49] Kathleen: Absolutely. You don’t really know if they’re going to get it at that initial phone call. Sometimes you can tell but sometimes you can’t, and you get surprises later. And so, that’s something else that kind of goes along with any businesses especially a service-based business like mine is, who is my ideal clients and where can I find more of them? I worked with people that are absolutely fantastic and I worked with people who are not so fantastic. And so, that’s part of my own learning and growing process of my consulting business is I’ve opened my doors to allow lots of people to come in and get my services. And because I’ve done that, I now know. Now I’m able to turn people away if I don’t see that it’s going to be a good fit or maybe they’re not going to understand or maybe I don’t see that their product is going to do phenomenal on Amazon. So, like you said, like any business you kind of figure out who your ideal clients are and who they are. Ten years from now hopefully I just have a roster full off many, many ideal clients and no one gives me any issues but there’s always going to be things that come up with a service-based business. And so, that’s something that I’m continually learning and growing and trying to figure out myself. [00:38:09] Scott: Yeah. And that brings up a great point like I would think that once you get a few clients all of a sudden now you got a lot of work to do. Are you hiring people now to help you with this? Do you have people on your team that actually you can delegate some of this stuff? Do you pay then maybe hourly? [00:39:20] Scott: Well, what’s that saying that you’ll work for yourself 80 so you don’t have to work 40 for someone else? [00:39:26] Scott: You know what I mean? It’s true but it will do. Yeah. [00:39:29] Kathleen: It’s so true. [00:39:30] Scott: But yeah. I think there comes a time that then you have to kind of set that up and have other people that can kind of do this stuff and you train them or just find someone that has their specialty in that area. It could be copywriting. It could be just doing list optimization, whatever. I think that’s smart and I think in order to grow especially a service-based business, you’re definitely going to want to do that. Two thoughts. Number one, the first one I had here was I had this idea as we’re talking about like because I know people are like, “Well, how do I find my first client like how would I do that? How will I get in front of people that could possibly be my client?” And I came up with this idea like why couldn’t you either go to like your Better Business Bureau kind of meetup, they have those? Then the other one would be like just create your own meetup on Meetup.com locally and just kind of call out people that are selling brick-and-mortar in your area and say, “If you want to learn how to sell your product on Amazon, I want to basically create a group that we can kind of share ideas,” and then you’re kind of the leader of that group. You’re definitely going to get people that are going to show up that have products that they sell in their stores, but they don’t sell on Amazon. And then from there, you can educate them and then naturally they’re going to ask you, “Can you help me?” I mean, it’s almost like a natural fit. If I was interested in doing that which I am not at this point but if I was, that would be one way that I would think to get local people in my area that I could work with, sit down, have coffee and kind of figure out how to get my first clients. What do you think about that? [00:40:56] Kathleen: Absolutely. I think that’s a phenomenal way to start. The online space is very crowded and so it’s hard to really distinguish yourself in a short period of time like it’s taken me over a year to really become known like in my small business circles that this is what I do so people know to come to me for this. That’s taken a long time but if you go local, I guarantee you, I mean, what are the odds that someone local in your town or even in your neighborhood, your city, whatever, that they’re doing the same thing you’re doing? I mean I know there’s a lot of Amazon sellers but there certainly are not a lot of Amazon consultants and there are tons of brick-and-mortar businesses who have no idea how to get their products online or maybe they know they need to get more sales because people are buying more online and yet they just don’t know how to get started or they’re not ready to start their own website or they don’t know about merchant accounts and payment processing and Amazon kind of takes all of that away. So, I think that’s another really appealing thing that when you approach brick-and-mortars just how easy it is and how much Amazon does for you that you don’t have to worry about. So, right there that could’ve been a relationship that I could’ve said, “Listen, let me take some of your product selling on Amazon. If it ends up working, I’ll just pull a commission.” Like literally, it would’ve been that easy if I wanted to. So, you can walk through and just kind of get those people that are selling brick-and-mortar and then just get up those conversations. I mean, there had to be hundreds of people there that had local businesses that not all of them are going to be a fit but there’s going to be a handful. So, that’s how I would probably approach that. Last question before we wrap up. Now you’re consulting. You see that a brand over here is doing really well. You’re getting a percentage of that on the sales which is awesome. Does that also in the back of your mind, do you say to yourself, “I want to start my own brand?” Like I want to – I mean it’s got to be, right? [00:43:41] Kathleen: Oh, absolutely. Yes. I have been wanting to start my own brand for a long time and I could give you every excuse in the book why I haven’t but really it was so much less risky to start selling other people’s products and then when I started doing that, it really just grew a lot quicker than I ever thought it was. And I’ve always wanted to start my own brand and that’s definitely on my radar for 2018 and, I mean, I will do it. I will do it for 2018. I do love the consulting. I love helping small businesses but at the same time it’s not my business and they could go away at any time and that’s what I learned kind of the hard way with leaving my 9-to-5 is when I left so did my Amazon business. At that point, my Amazon business selling my boss’s products was I had a whole team behind me. I had to incorporate myself and get a payroll and hire people because I still have my full-time job. But at the end of the day, it’s still someone else’s business. And so, while I have grown my own consulting business, definitely my number one priority for next year is to launch my own brand. And so, I’m really excited about that. And with the consulting, it just gives me so much more insight because I’m able to see not only what other people are doing with the clients that I help but I can kind of see what’s working and what’s not a lot more quickly just because I have access to, like I said, all these different client accounts and their products range. I mean it’s such a huge range of products and all these different categories. So, I think that’s really going to help me figure out what brand, where I want to be for next year when I do launch my own brand. [00:45:30] Scott: Yeah. I mean, I think it even goes down to doing like retail arbitrage. Like that’s why I tell people like I personally didn’t do it because at the time I didn’t need like the Amazon thing. It was, again, I was just doing another revenue stream for my family, for my businesses, just to add a portfolio and it was just retail arbitrage. It was just too much work for me at the time. My daughter’s actually doing it right now and she’s doing it pretty successfully. I mean, they’re doing really well for, I mean, literally, she might spend three, four hours a week going out and finding more inventory. But again, now it was funny, she just texted me the other day and she’s like, “I think I’m ready to start launching a product,” because they just got settled. Her husband’s in the military and they’re traveling all the time and she’s actually a hairstylist, so she can’t really set up shop there with hair clients, all that stuff. But anyway, so she texts me. She said, “I think I’m ready. I want to do it. I want to start getting into it again,” and I’m like, “Okay.” But the thing is it’s like she’s able to see a lot of different categories by doing retail arbitrage. She can see like, “Oh my gosh, like in this category like these things like sellout like crazy.” You’re not going to maybe sell that product, but you can know that in that category or in that market, there’s a demand, there’s a raving fan base, whatever, which I think it’s good to get that insight. And that’s really what you’re saying is like being able to be a part of someone else’s brand. It doesn’t mean you’re going to sell their product. It means that you could sell in that space or at least that category because you know that there’s a huge market and there’s demand there in that particular category which I think is what you’re saying. [00:47:04] Kathleen: Yeah. Absolutely. And I don’t want anyone to think I’m spying on my clients and I’m going to steal their products and steal their brands and all their information or anything like that. I just mean it’s more when I go in the Facebook groups and people are asking questions I’m like, “Oh yeah, that happened to me yesterday. Yeah. My clients said that the other day.” There are just a lot of moving parts that I’m able to learn and see things I think a lot more quickly than someone who’s just getting started and just starting their product research and figuring out what product they want to start selling on Amazon. [00:47:36] Scott: Yeah. You have live data. You know what I mean? Like you have live data that you can kind of look at. Like you said, even like if you’re doing something pay-per-click and you see something that kind of worked because you tried it against three different brands and it kind of worked. So, you’re like, “Cool. If I launch my brand that’s what I’m going to do. I’m going to use that strategy or whatever.” So, yeah, I get it. You’re learning through that process. That’s what I tell everybody too. It’s like you just got to launch like if you launch, you’re forced to ask yourself questions like, “Okay. What’s next? What do I got to do here? Why didn’t that work? What can I do here to increase sales?” Like all these questions are going to make you think of an answer and you have to answer it. So, for you, you’re making these decisions and you’re answering these questions every single day which is pretty cool. So, let’s kind of wrap this up. If anyone wants to learn more about what you’re up to, what you’ve done, I know that you kind of teach people actually how to get started in this and kind of give them some structure and some framework, how do they get in touch with you? [00:48:38] Kathleen: Sure. The best way is probably just go to my website, KobelConsulting.com, and you can fill out my contact form. You can opt-in for my free training or you could just email me or find me on Facebook really. It all depends on what you’re looking for and what I like about what I do is I offer an option for kind of every small business owner. Like I was saying earlier, if you want it done for you, I have a lot of people that I’ve approached that are like, “I’m never going to do that. You can do this all for me. I’ll be happy to pay you. Great.” And I have a lot of other small businesses who are, “I’d love to get my products on Amazon. I’m just not sure where to start and I don’t really have the capital to pay a consultant right now.” So, I do have lower level, lower investment level of coaching and do-it-yourself courses. So, you can easily figure out how to get your products on Amazon without having to pay a consulting fee or you can just come to my website, contact me, and we can get on the phone and I can kind of give you what I would do if I was in your position as far as strategy and take your finances and your inventory into account and we just kind of go from there or see is it a good fit to work with me? Is it the best fit for you to figure out yourself or maybe buy my course for your assistants and you get them learning how to sell on Amazon and that is a win-win for them because they can go start their own side business. They can help you with yours. So, I’ve had a lot of different options of available things and people seem to be really receptive to that because there’s a different solution for everyone. So, yeah, that’s my long answer. Just go to my website. [00:50:16] Scott: No, that’s great. No, that’s awesome. And I think, like you said, there’s going to be different situations for different people, different businesses and I really just want to have you on, Kathleen, just because, number one, I don’t have a lot of women on the show and that’s not because I don’t want to have women. It’s just because either they don’t approach, or I just don’t have access and when I had you come to the meetup, it was actually you and another lady, and I said, “Wow. This is like two in a row like this is awesome,” and you guys are successful at what you’re doing, and you literally went out there and made it happen like you didn’t let that hold you back. You just figured out a way to get started. Now you’re going to graduate and possibly go ahead and launch your own brand. And who knows? Maybe you’ll partner with someone and then launch a brand. Like there’s a lot of different – I didn’t know that I was going to have this new brand that we just started nine months ago, just over eight months now. And we built a six-figure brand in under a year and we’re hoping to get to seven figures by next year. But it wasn’t even a thought. But because I went through this process numerous times, the opportunities there took advantage of it. And I just wanted to again say thank you so much for coming on. Thanks for showing up in Dallas. I think didn’t you tell me too that you were there or you’re in the area for something else and then you heard that we’re having a meetup and then you came over? Was that you? [00:51:42] Kathleen: Yes, I did. I was actually there to see someone else speak and to visit one of my clients who was based out of Dallas, so I could meet them in person for the first time and then I got your email and I was like, “Oh my gosh, Scott’s going to be in Dallas too?” It’s like the world is like all coming together and I’m like, “All right. I’m really meant to go on this trip,” and something I think you said that was really important is that there aren’t a ton of women in any Amazon space. I personally don’t know. I mean I know of some, but I don’t know a whole lot of other people that are doing what I’m doing especially as a female and I think it’s a little bit more scary. I mean I’m not going to lie. It was a little scary walking into the hotel because I didn’t know anyone. I didn’t know you. I didn’t go there with anyone. I mean, I took a cab there from the event I was at by myself. I went to Dallas by myself, went to this event, took a cab over to the hotel to do your TAS meetup and I didn’t know anyone. I’m actually a huge introvert in case you didn’t know that but it’s all scary but at the same time, like you say, all you have to do is take action like I really learned that working for myself and being an entrepreneur you have to get uncomfortable because nothing’s ever going to happen to you if you just sit at your computer all day and do your research or whatever it is like you really have to get out there and put yourself out there. And because I’ve been doing that for the last couple of years, I’ve just had a lot of great clients approach me. I’ve had a lot of great opportunities come to me and so things just really seem to fall in place when you’re open to allowing that to happen. Had I never gone to Dallas, I would never have met you. We wouldn’t be talking right now and whoever’s listening, would never maybe have the idea to go approach and have a local meetup and start their own consulting. And so, I think it’s just really important that people take your advice and just take action if you think maybe you want to start something, just do it because you’ll find out real quickly if you want to be doing that or not. If you don’t take action then you’ll never know and who wants to live with a life of regret? [00:53:48] Scott: Yeah. No, I agree. And I mean you’ve illustrated that very nicely. It’s like you weren’t going to go and you went and then whatever. It just led to where we are now and here we are on this and we’re going to be able to inspire and really help people right now that might have been doubting that they can launch their first product. Well, maybe put that on the backburner right now and then move on to going out and doing the consulting thing because you can do that a lot quicker and then get your feet under you and you can learn through that process. But again, you’re here today because you showed up and we talked, and you met a lot of other cool TASers there. Who knows where those relationships will lead. I don’t know. But you’re here, we’re inspiring people, and educating people, and that’s really what I want this podcast to always be about is really bringing other people kind of to the spotlight and letting people see that it’s not just like some people would say, “Well, Scott, yeah, it’s you because you have these connections.” It’s like, no, I started with nothing like I started with zero. If you just want to look at the podcast, I’ve started with zero listeners. Now we’re thousands but it started with one. One client is what you started with and now look what you’ve done. So, yeah, I just want to thank you so much for, number one, coming to the TAS meetup because, again, that’s why you’re here and again just sharing your experience, your expertise. And if anyone wants to learn more, definitely go check out Kathleen’s website and reach out to her but, yeah, I just want to wish you luck. If you have any questions for me, Kathleen, in the future when you get ready to launch that brand, let me know. I’d be more than happy to walk through anything and give you a hand if I can. [00:55:28] Kathleen: Thank you so much, Scott. I really appreciate all that. I really appreciate you having me on the podcast. I love listening to TAS and I’ve been listening for years and so if there’s anything I can do to help you and your listeners, I’m very happy to do it so thank you for having me too. [00:55:45] Scott: Awesome. I appreciate it and good luck with those kiddos. [00:55:48] Kathleen: Thank you. Yeah. They’re keeping me busy but they’re great. They’re amazing. [00:55:53] Scott: Awesome. Well, enjoy them while they’re young. I’ve got a 22-year-old and 19-year-old and a now almost 10-year-old, so it goes quick so definitely enjoy those moments. So, all right, Kathleen, take care. I’ll talk to you soon. [00:56:08] Scott: Okay. Well, I mean, that was great. What a great idea to get started even if you don’t have money by doing consulting. And I mean like going to a business that’s already got products. You don’t even have to think about the products and then from there, help them get them exposure on Amazon. That’s basically what you’re doing and there’s a lot of businesses out there. I know because I talked to brick-and-mortar businesses and a lot of them they feel like that’s the online world. They aren’t familiar with that like they’re just familiar with their retail location or whatever. So, to me, there are plenty of opportunities. I also met another woman at that same event that’s doing the exact same thing for the reason of she was a little scared at the beginning of putting her own money on the line, so she went out and found people that she could work with. Now she’s working full-time for that business to grow their Amazon sales. That’s what she’s doing. Another person I mentioned, Jarod, who is one of our students, also a good friend of mine, now through our class he’s building other people’s businesses, but he started by building his own and he’s still building that business. He’s just about seven figures now and he’s building other businesses, small, medium, and large businesses and then taking a cut of their sales from the online stuff. So, it’s definitely possible. People are doing it right now. The reason why I wanted to share this with you and really share her story is because I know so many people get stuck and they don’t do anything. There’s no reason at all to not do anything. There are no excuses. Now I want that to be your thing. No excuses. What can I do right now? If you’re stuck on product research, if you’ve been trying to find a product for the past six months and you haven’t done anything, you either going to launch your product, small order and get yourself going or you got to go with someone else that already has products and just help them get them on Amazon. You could tell I’m pretty fired up about this because there’s really no reason not to start. All right. #JustStart. [00:58:03] Scott: All right, guys. That is going to wrap up this episode. I hope that you got a ton of value from it. If you are just starting and you’re like, “Scott, I don’t know the process yet,” then go to that resource that I mentioned in the beginning, TheAmazingSeller.com/start. That would get you all the way through the entire process. There are five episodes. They’re in a series. You can go through all the way from picking a product and then from there launching the product. So maybe you’re going to come in on a business that already has products. You can get to that part and then just launch the product. So, go through that series. I’m telling you right now that will give you the entire roadmap. That’s why I call it the five-step private label roadmap. Go through that and you’ll be way, way ahead of the game. All right. So, guys, that’s it. That’s going to wrap it up. Remember, as always, I’m here for you, I believe in you and I am rooting for you but you have to, you have to, come on, say it with me, say it loud, say it proud, take action. Have an awesome amazing day and I’ll see you right back here on the next episode. This was an eye-opener for me, I want to take part of this opportunity. The problem is, I have no experience with selling on amazon. For people like me that have no experience and even knowledge with the amazon business, what would you recommend we focus on learning? What skills should we focus on developing so that we can have the qualities of starting our own consultancy? Thank you. Hey James, I would start with the basic skills or knowledge like what we talk about in the “start here” section of the site. Even if you haven’t sold personally, if you understand the basic strategy you have a massive leg up and would be able to get started helping people. Thank you Mr. Scott! 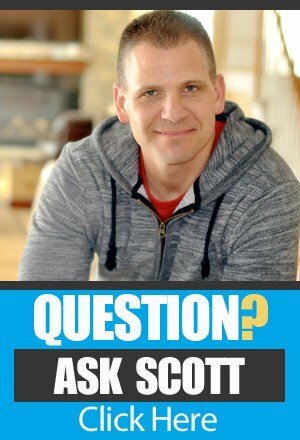 I thought you didn’t respond, I was looking at the Ask Scott section of this site and couldn’t see anything. I just finished day 4 of the 10 day video series, thank you Mr. Scott for giving all of us here a ton of value and even responding to all questions. I love how you make everything sound simple to digest, and you aren’t one of the many people that bring a lot of hype of fluff, you keep it real. I only wish you greater success Mr. Scott. Cheers!